The apartment is 55 m2 and has two separate double bedrooms, a fully equipped kitchenette incl. Coffee machine and a shower room. 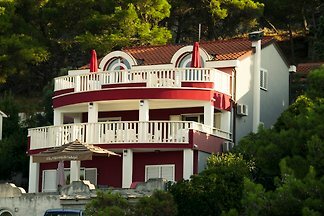 A luxury, air-conditioned, 4 bedroom, 5 bathroom villa, garden, heated private infinity pool, WiFi, BBQ, laundry, gym, cinema room, whirlpool room, beach 200 metres, sea view. 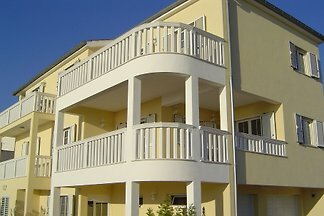 The apartments are therefore equipped with LCD TV and dishwasher, and an internet connection is available. 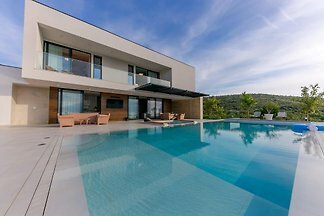 This luxury 5 star villa with pool is located near Primosten on Adriatic coast. Five luxury 2 bedroom modern seafront apartments, including one penthouse plus a 3 bedroom penthouse. Fully air conditioned with sea views, Sat TV and WiFi. Beach 90 metres. 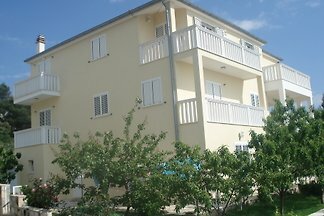 The apartment is 45 m2 and has a separate double bedroom, a fully equipped kitchenette incl. Coffee machine and a shower room. 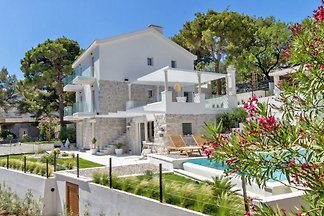 from 5 5 holiday homes & accommodations in Primošten were rated with an average of 4.7 out of 5 stars ! 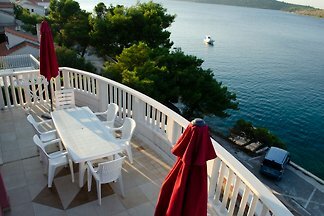 Rent successfully your holiday flat or holiday home in Primošten in only 20 minutes !